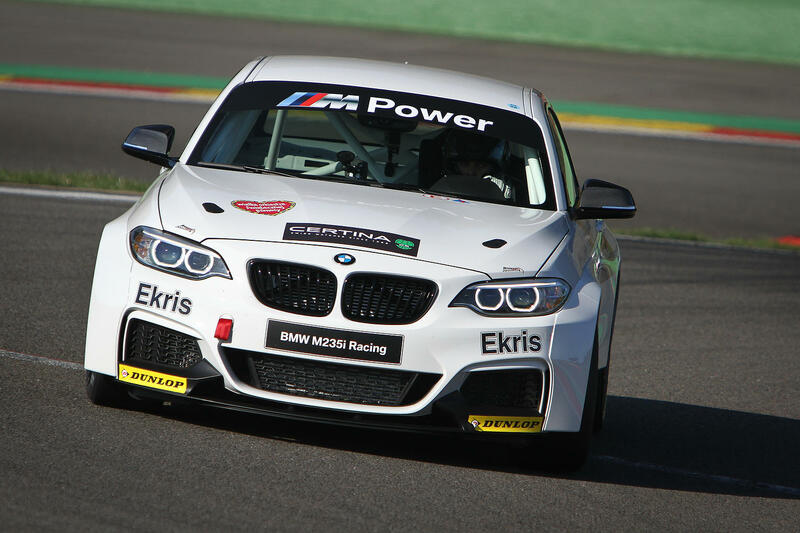 The second race of the BMW M235i Cup took place at Zolder, the 9th and 10th of may. This weekend, the M235i Cup drove together with the Belcar Series, which resulted in a field of 36 cars, consisting sportscars, GT's, touring cars and BMW M235i's. Stéphane and Maciej entered the weekend with not a lot of training and preparation, due to the school activities of Maciej. The qualifying didn't go as planned, which resulted in P7. The race was on sunday. Maciej started, and drove the first 15 min. Then there was a code 60 and this weekend's team manager Peter Kox decided to do the first pitstop. Stéphane went in the car. She drove a 1 hour stint, with a consistent, competitive pace. It was not easy for her, as she had to manage the breaks and the tires. After one hour, Peter Kox called for the second pitstop. Stéphane drove from P5 to P2. In the second stop, Maciej went back in the car and did a good job. He managed to bring the car home, with quite bad breaks. At the end of the race it was a bit critical, but in the end Stéphane and Maciej finished P2, with 11 seconds advantage on P3!! Besides the 2 nd place, they finished 3rd in the Tourismo Pro class. Seen the preparation it was a really good weekend for them, and the championship is looking very strong for now! Thanks to all thr Power Motorsport guys and Certina Swiss Watches.